Using at best no research, and at worst venomous research, Freedom House chooses to honor the libel against Israel which emerges primarily from the same totalitarian countries Freedom House would have us believe it scrutinizes. Freedom House, once a reliable guardian of protecting freedom and human rights, continues to slander Israel based on false Palestinian propaganda, which it presents as facts in order to declare Israel "less free" and a violator of human rights. Freedom House's current research director on Israel, Arch Puddington, was, it seems, less than pleased with a recent Gatestone Institute article slamming the substandard, reckless, and apparently malicious methods to which Freedom House resorts to suppress "inconvenient" information, for example, reports that a member of its Board of Trustees might regard as "politically incorrect". The latest incident involves Freedom House's downgrade of Israel to the status of "less free" because of its press during wartime. The Gatestone article apparently drew the ire of Puddington, who wrote a letter to Gatestone's publishers about "inaccuracies" in the article, while offering no examples or corrections, and concluding, "I have been reading Gatestone items from time to time and have generally found them interesting. This experience, however, has raised serious questions about the credibility and journalistic rigor of your writers and editors." In the letter, Puddington admitted he failed to respond six times to queries about his reports on Israel before the article went to press, and offered no proof or refutations of specific criticisms in the article, all of which have been proven to be true. Freedom House downgraded Israel to "less free" and allegedly involved in human rights violations such as censorship, largely based on false information provided by sundry Palestinian "websites" and anti-Israel radical NGOs, often based in Israel, which support the dismantling of the Jewish state. The Freedom House report contained information that was political in nature; had nothing to do with Israel's citizens' lives (which have survived years of daily rocket attacks); and had nothing to do with their personal freedom, or even their general human rights. How would New York or Washington respond if even one rocket were to land from, say, New Jersey or Virginia? Instead, the report maligned the IDF for protecting Israeli citizens from terrorist attacks. It did so by either ignorantly or disingenuously placing attacks by terrorists from Hamas and similar organizations on an equal moral footing with Israeli efforts to defend their civilian population from these attacks. As the Israel Ministry of Foreign Affairs reported on November 12, in just two days, since November 10, over 100 rockets had been fired from Gaza at the towns of Sderot, Beersheba, Ashdod, Hof Ashkelon, and Shaar Hanagev, wounding several people and hitting several houses. How would New York or Washington respond if even one rocket were to land from, say, New Jersey or Virginia? The irony of Freedom House's distorted reporting is that no country goes to the lengths to which Israel goes to fight wars as morally as possible and with as high a regard for safeguarding the lives of its non-combatant adversaries. Moreover, there is possibly no country equally as open when it comes to issues of freedom of speech and the press for its own people. Israel is a country with which at least 22 other countries in the Islamic ummah [nation] are outspokenly at war. Iran overtly advocates genocide against the Jews. Israel allows active subversive movements to enter the country to operate freely within its borders in the interests of "free speech." Al Jazeera, for example, a major Arabic news outlet which is openly dedicated to the spread of Islam and -- in Arabic but not in English -- promotes Jew-hatred virtually non-stop. 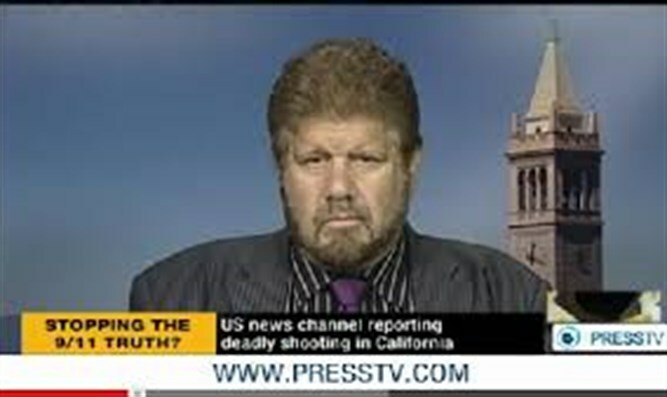 Al Jazeera continually broadcasts from inside Israel news reports that claim that Israel is abusing its Arab population. Recently, one Jew who monitors Al Jazeera in Arabic said, "If you watched a few hours of Al Jazeera, you would feel like murdering the first Jews you came across, too." In addition, Russia Today reports propaganda news items worthy of the worst run against Israel during the Cold War. Since the article criticizing Freedom House first appeared, Puddington apparently made some slight changes to his report, but still not enough to be completely accurate. It seems he just cannot help taking a dig at Israel. Puddington claims Israel discriminates against its own Arab population in education, although Arab Israelis are given first preference at Israeli universities, even over IDF veterans, through affirmative action programs. Many of these Arab students openly call for boycotting their own universities and the dismantling of the Jewish state, like Omar Barghouti, the founder of the Academic Boycott of Israel who attends Tel Aviv University and is not an Israeli citizen. A review of Freedom House's reporting on Israel, dating back to year 2002, in particular, reveals a systematic ignorance and prejudice, frequently using unreliable sources when condemning Israel for alleged violations of press freedom and human rights violations and for denying press cards to foreign journalists. For years I have provided Israel's Government Press Office with names of activists from the International Solidarity Movement (ISM) who falsely claim to be "journalists" in order to get past Israeli border security. The ISM is an anarchist communist worldwide network of irredentists -- apparently more anti-Israeli than pro-Arab because they never seem to criticize Arab abuse of other Arabs -- who act as human shields and provide propaganda support for Palestinian terrorist groups such as the PFLP and Hamas. Its co-founder, Huwaida Arraf, and other leadership have publicly admitted that their group works with the terror groups Hamas, Palestinian Islamic Jihad and the PFLP, as human shields, and that they consider violence and terrorism committed by such groups "legitimate resistance." Reputable journalists have track records of paid articles published in mainstream media such as major newspapers or other media. These ISM "journalists" are usually only published on various propaganda websites on the Internet controlled by the ISM. The ISM is involved in the planning and execution of weekly riots in the village of Bil'in in the West Bank, as well as having been involved in hosting two suicide bombers who visited Israel from the UK, blowing up the night spot "Mike's Place," and managing to kill two Israelis. A Palestinian terrorist, Shadi Sukiya, was even captured by the IDF while hiding in an ISM office. The denial of press credentials by the GPO does not constitute a lack of freedom of the press: it denies the ability of phony journalists to generate phony propaganda stories of phony allegations of Israeli human rights abuses over the Internet. Freedom House suggests that Israel's press is "less free" because certain individuals -- who were not even legitimate journalists -- were denied access to Gaza during Operation Cast Lead in 2006. Freedom House, in reporting on the Gaza war's press restrictions, failed to mention that Hamas had fired over 8,000 missiles into Israeli communities in the Negev for years, even after Israel forcibly deported over 8,000 of its own citizens from Gaza in 2005 in a quest to show that the Jewish state was serious about making peace and leaving the Palestinians to rule Gaza. Freedom House posted the Arab civilian casualty count from Gaza as 1,300 deaths when in fact the majority of those casualties were armed terrorists killed in military exchanges. After the first article criticizing Freedom House, it amended that statistic. Freedom House also cited the fraudulent Goldstone Report, which accused Israel of "war crimes" in Gaza in 2006, failing to mention that Judge Richard Goldstone himself repudiated his own report after it was revealed that many of the "Israeli eyewitnesses" to these "crimes" came from members of an ISM anarchist group, Combatants for Peace, who, it was later proven, were not even present in Gaza during the war. Just how what occurred in a combat zone outside Israel's borders, as the IDF was protecting the Israeli population from constant missile bombardment affected freedom of the press and freedom in general for the people inside Israel is not explained by Freedom House in its voluminous reports. What is clear is that it took it took a Gatestone article about Freedom House's sloppy research to get Arch Puddington to change or annul some of that biased information, while he accused Gatestone's editors and writers of unprofessionalism. As yet a further example of biased research not yet corrected by Puddington, Freedom House mentions the Israeli interdiction of the Mavi Marmara "flotilla ship" as another indication of Israel's "alleged violation of human rights." The Mavi Marmara was part of a flotilla of boats organized by the ISM and Ms. Arraf (who has openly admitted working with Hamas and other terror groups) for the purpose of breaking Israel's naval blockade of Gaza. Israel has always allowed all humanitarian aid to enter the Gaza via border crossings on land so that flotilla boats are not necessary except in the fantasy world of Palestinian Arab propaganda. Israel's reasons for the blockade can be seen in incidents such as the 2003 capture of the Karine A, which was intercepted by the Israeli Navy as it was secretly transporting to Gaza tons of weapons and munitions that had apparently been funded by Saudi Arabia and Iran. Those weapons and munitions were to be used to kill the citizens of Israel. The Mavi Marmara incident occurred as part of a larger flotilla of boats sent by the ISM with the help of the Turkish government and the terror group IHH, and was the seventh time the ISM had sought to breach Israel's control of the sea lanes of Gaza. That's right, ISM flotillas actually were allowed by the Israeli government to pass through to Gaza six times previously, to avoid giving the ISM a publicity moment. Those earlier flotillas claimed to be carrying humanitarian aid that turned out to not exist although weapons were found on board. Puddington's report admits the UN found Israel's actions legal, but he concludes they were overreaching and "too far out to sea" – evidently with no effort whatever to ascertain how far "too far out to sea" is under maritime law. Israel has been exemplary in its behavior towards its adversaries, including these flotillas, and goes out of its way to stay adhering to both maritime and international Law. Whereas ISM propaganda implies that Israel somehow violated international law by assaulting the Mavi Mamara in international waters, maritime law states that in cases where a country initiating a maritime blockade has advance notice that someone is planning to breach the blockad, the blockading country has the legal right to interdict such vessels in international waters before [emphasis the author's] they reach the water limit of the blockaded area. The ships are to be towed to the nearest port, then the passengers repatriated as soon as possible. Israel has consistently done this. Yet Freedom House would suggest that Israel did not respect the human rights of those on the ships who were working to help terror groups in Gaza, and apparently suggests that Israel should allow its enemies to assemble more weapons. What sort of human right is that, the right to help your enemy kill you? Puddington also fails to mention, after describing the Flotilla as bringing "humanitarian aid" to Gaza, that when the ships were searched there was no humanitarian aid on board to be found. There are many more examples of Freedom House reports, inaccurate to an unprincipled degree, of supposed violations by Israel of human rights and freedom of speech. Just the latest is a "Freedom Alert" concerning Israel that was put out by Arch Puddington himself. It states, "Israel's Indictment of Journalist a Worrying Step Toward Censorship," and continues: "Charges filed against a journalist for unauthorized possession of state secrets set a dangerous precedent for press freedom in Israel and should be dropped immediately, according to Freedom House." Uri Blau, a journalist who worked for Israel's leftist newspaper Haaretz, -- whose own editor called for Israel to be "raped" -- received thousands of documents that were stolen from the IDF by a young female soldier named Anat Kam. Ms. Kam, who was affiliated with some pro-anarchist groups like B'tselem in Israel, served as clerk in the army's central command. The theft on computer disc of over 2,000 secret military documents could put the lives of thousands of Israeli soldiers in jeopardy. Blau was sentenced by a court to four months of community service. Kam was sentenced to 4.5 years in prison and 18 months probation. B'tselem claims that Kam was a "journalist." In the dreamy world of Arch Puddington's reasoning, all classified military secrets should be revealed to Israel's enemies by the media before he is able to consider Israel as truly having a free press. One has to wonder if Puddington would be as willing to furnish his home address and phone number to people in the local newspaper as he is to condemn Israel for divulging her military secrets to her many declared enemies. In fairness, Freedom House does list Israel as one of the freest countries in the world, but its research and condemnations of the Jewish state are so sloppy and full of flaming inaccuracies that one seriously has to question the motives of its authors. Do they actually think they have to find something wrong somewhere so badly -- even if it is false information obtained from the exact totalitarian propaganda movements and countries over which Freedom House professes to be a watchdog? The bottom of Puddington's freedom report provides a "trending arrow" that suggests freedom is eroding in Israel because of the imposition of the so-called Boycott Law, which allows civil lawsuits against Israeli individuals and groups that call for an economic, cultural, or academic boycott of the State of Israel or the West Bank settlements. Puddington naively seems to believe that NGO's cannot be front groups funded by outside interests out to bring down the Jewish state. Boycott leaders and their NGO's practice well-rehearsed lies and presentations abroad that have caused some Jewish-owned businesses to go bankrupt not only in the West Bank but inside Israel. BDS leaders have arranged boycotts even against companies which provide security cameras to watch for suicide bombers entering Israel. Boycotters always claim a boycott is non-violent, instead of what it really is: war by other means. How sad that such otherwise notable proponents of human rights as Ruth Wedgwood, Bette Bao Lord and Diana de Villiers Negroponte apparently have not only countenanced the censorship mentioned in the last column on Freedom House or the malfeasance reported in this one -- or have never tried to curb it -- but that they also still sit on the Freedom House Board of Trustees, holding senior positions there -- or at least did as of two weeks agoIt is revealing that in just the last few weeks, Freedom House rendered itself even more "less free" by removing from its website the names of its Board of Trustees. But then again, that is Freedom House: Promoting at least some of the propaganda of the closed, totalitarian Palestinians against the open, democratic Jewish state. We can only imagine what they will say about Israel's current operation against Hamas rocket launching from Gaza.